Nuance is making in-car voice assistants listen better. Voice assistants typically need a little nudge to listen to your commands. From "Hey, Siri," to "Hello, Google," to "Alexa," they all need to hear something (called a wake word or phrase) before doing your bidding. It's the same in the car. With the MBUX system you have to say, "Hey, Mercedes," to get the car to listen to you. 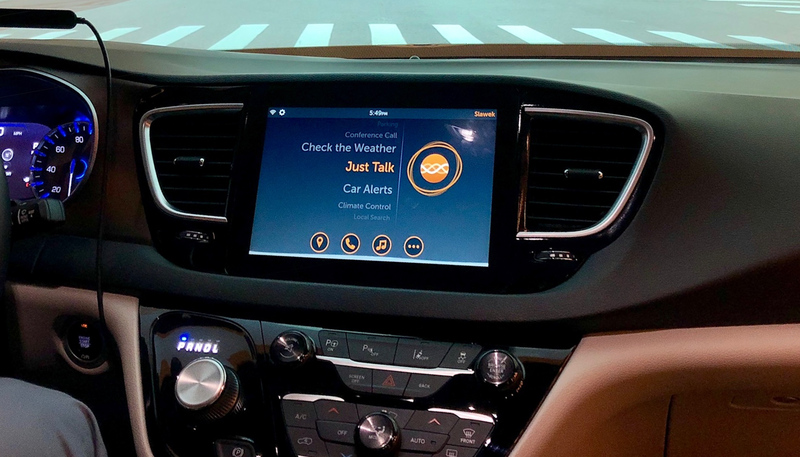 Nuance, the company behind MBUX and a whole host of other automaker voice-assistant systems wants to do better. Starting next year, BMWs outfitted with the latest version of Nuance's voice-assistant will be able to tell the difference between the driver talking to passengers and the driver talking to the car. In other words, no more wake word. According to Nuance, Just Talk mode will be able to distinguish between regular conversations and commands. Ahead of the actual launch in a production car, the system is impressive. During a demo with Nuance Product Manager Robert Policano, he asked for a coffee shop. The demo vehicle served up a location. Just Talk understood his query without a wake word or having to press a button. Before this was all happening, he was talking to me about the system and the car essentially ignored that portion of the conversation. "It's listening for expressions, grammar, phrases, words and even sentence structure that it can determine with a high probability that I'm directing it toward the car," Policano said. When you pair them with Nuance's spectacular natural language capabilities, it becomes clear why OEMs have teamed up with the company to deliver better infotainment experiences. While large digital displays have become the norm in many new cars, it's not always conducive to safe driving. Being able to talk to your car instead of reaching over to tap on a touchscreen keeps your hands on the wheel and your eyes on the road. With Nuance, Mercedes, BMW and other automakers can also tempt drivers away from Android Auto and CarPlay. Those systems, while great for playing music and getting directions, don't have access to vehicle controls. MBUX can turn up the heat and adjust your seat for you. It's unlikely automakers will ever give Google and Apple access to those portions of their vehicles. Instead, they're all working on better systems to make sure the only thing you want when you plug in your phone is to charge it and grant access to media. Nuance and Just Talk are making that a reality. But as with all voice-assistants, there's the privacy concern. Nuance says it doesn't want your data. It's not trying to sell you ads or track you in any way. Just Talk can pick out a moment when it's being addressed both in real time and locally. Once it determines what you want, if it requires access to the cloud (for navigation for example), it pings the servers with anonymized data to whichever service the automaker or driver have set for the vehicle. Everything else said in the car is continuously tossed aside as the system listens for a new query from the driver. Outside the vehicle, though, we still use Siri, Google, Alexa and a host of other voice-assistants. Fortunately, Nuance supports those systems right now and once linked (if the automaker allows it), drivers can query the car for something that's part of, let's say, Siri. Nuance's system will understand that the question is part of a linked service, ping that service and reply with an answer. You don't even have to say, "Hey, Siri." Voice-assistants and cars are a natural fit. At their best, they could keep drivers from being distracted by shiny displays and confusing submenus. With Just Talk, Nuance is lowering the entry point to a safer driver interaction. Cleaning the fingerprints off your vehicle's touchscreen might soon be a chore of the past.